I almost never go to the nail salon. I do my own nails in the comfort of my home at the fraction of the cost I would pay at the nail salon. I’m a major procrastinator and often wait until the final hour, before going out on the weekends, to polish my nails. I like to wait until the last minute especially since I want my nail color to match my outfit. Because of my waiting until the last minute to polish my nails, I never allow my nails enough drying time before heading out, which often causes my polish to get ruined right before or soon after walking out the door. I recently ordered a nail fan to help with drying my nails. 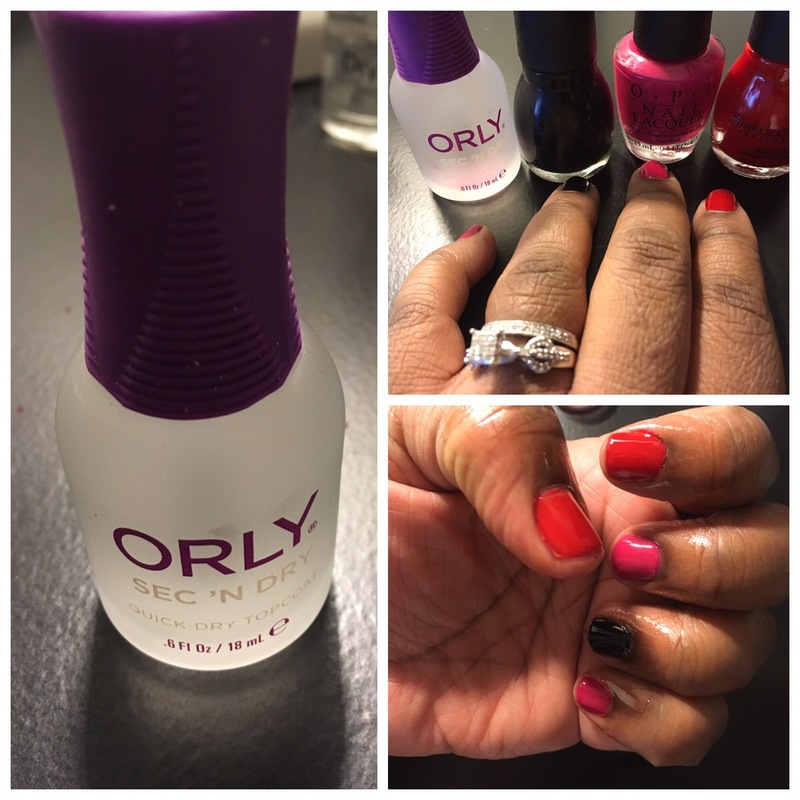 While shopping for a nail fan, I came across Orly’s Sec ‘N Dry, Quick-Dry Topcoat. It received great reviews so I decided to try it. I am very pleased with the results of this Orly product. My nails dried fast with a lasting shine. My nail color has lasted almost a week so far with no smudging or chipping. I really love this product! My nails look shiny and strong. It looks like I just left my manicurist even though I did my own nails days ago.